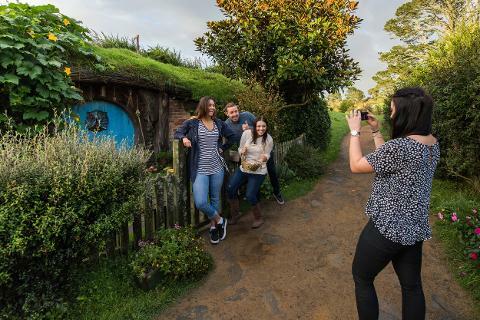 In just a day, visit the otherworldly glowworm caves of Waitomo, before falling in love with the magical, film -like world of Hobbiton the filming location of the lord of the Rings and the Hobbit. 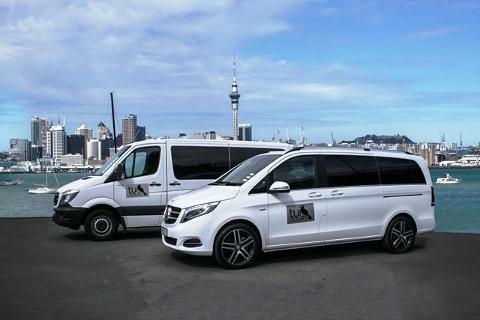 Your tour begins with a convenient pick-up from your Auckland hotel. 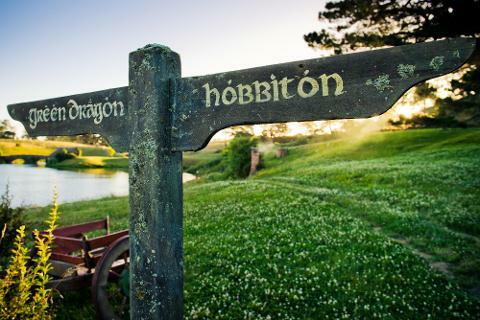 From here, head south along the Waikato River, the longest river in New Zealand. Take in the spellbinding beauty of the countryside as you drive by mystical forests and rolling hills dotted with horses, alpacas, and sheep. 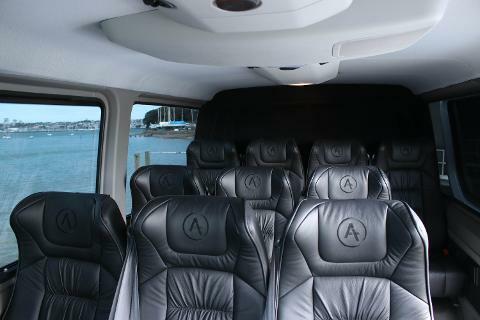 Stopping for a quick morning coffee before arriving at Waitomo Caves. 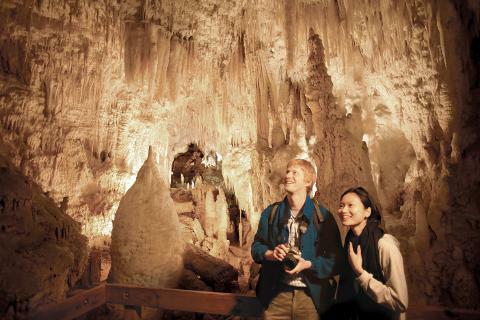 After arriving in Waitomo, you set off down an underground tunnel into the belly of the caves. Pass beneath a soaring subterranean ceiling with cathedral-like limestone spires. Board a small boat, which takes you down the river and through the caves. 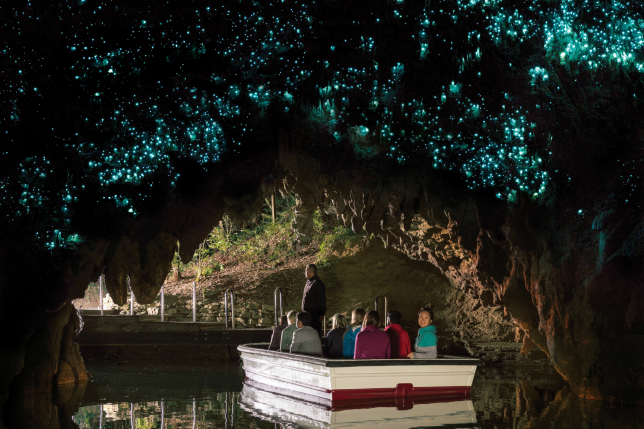 As you sail serenely through the darkness, marvel at the glowworms twinkling above you like stars. 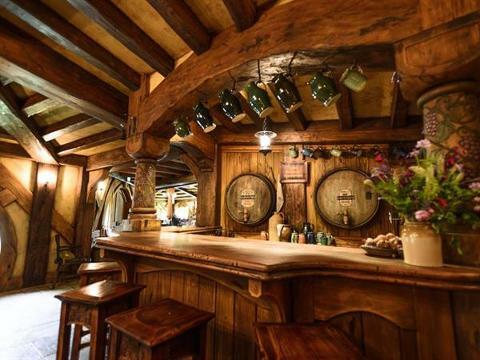 A sumptuous Festive Feast lunch awaits you before you embark on a tour of the fantastical land. 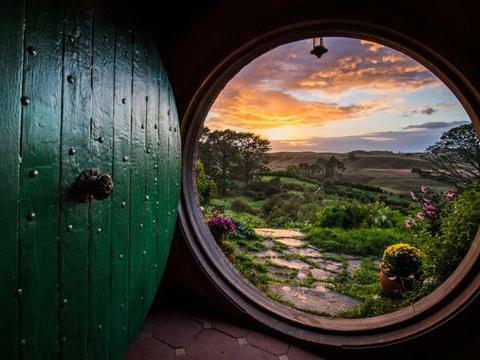 Step into the lush pastures of Middle-earth, journeying through hobbit holes and fairy-tale gardens. 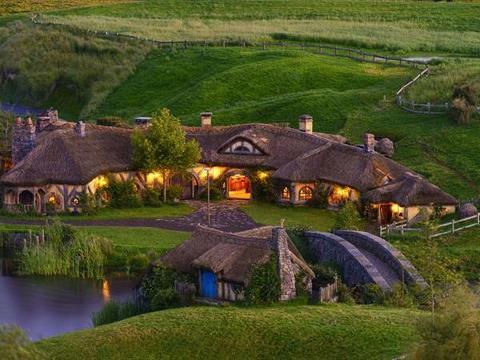 Learn all about how this breath-taking set was created while hearing behind-the-scenes secrets from filming.